What better way to continue to generate a green space and help preserve the ozone layer that surrounds us, than giving away on the day that represents love, a piece of lung for the planet. So not only do we help, but they can also give life, a life that unites us and that we can watch grow. How? Giving as little as the molecule that gives life, water and getting it back in the form of the oxygen we breathe. We use this post to share a little history with you. The botanical gardens, from the Latin Hortus Botanicus, aim to study the preservation and dissemination of plant diversity. They are characterised by exhibiting scientific collections of living plants, grown for any of these objectives: conservation, research, outreach and education. The botanical garden appeared during the Renaissance period of great encyclopedic interest with reference to the simple gardens of the Middle Ages. In principle the botanical gardens were dedicated exclusively to food plants and medicinal order, characterised by the emergence of a more specific classification and nomenclatures. There is evidence that the first botanical gardens were built by Muslims in Al-Andalus in the XIII century. In 1593, in Montpellier (France), appeared the first botanical garden, the ´ Jardin des Plantes´ of Montpellier, which is still run by the university. 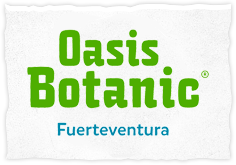 Currently several universities have their own botanical gardens dedicated to the study and research of a large number of plant species. Today, some universities create their own botanical garden with the aim of studying the molecular assembly and to conduct genetic research. This would also prevent the loss of priceless historical and scientific knowledge. Moreover garden centers contribute by producing both ornamental plants and agricultural interest, to help preserve species that are adapted to their surroundings.